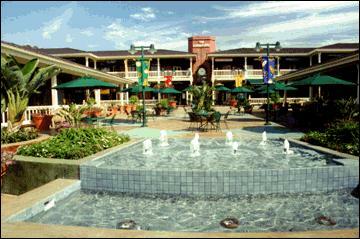 So no-brainer here, but the Lumberyard Shopping Center was indeed built on the former site of a lumberyard. A shopping destination around since the ’70s with flagship stores like Birkenstock, The Lumberyard has since undergone a few renovations and is now home to nearly 50 stores and restaurants dotting the north end of the town’s main drag. Prominently located in downtown Encinitas on S. Coast Highway 101 between F and I Streets, the Lumberyard is comprised of a mix of quirky and mainstream retail stores, some offices, and plenty of eateries. 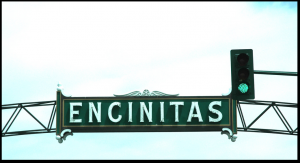 With establishments ranging from boutiques and spice shops to sushi and wine bistros, Encinitasans (that’s a word, right?) have plenty to browse, bite, and buy in between hanging out on the central plaza chatting in the sun. You may be pleased to know that one of The Lumberyard’s very first shops, Birkenstock, is still in residence at the shopping center, so if you’re looking for comfortable, walk-friendly shoes, hit it up. For kids’ items, try Magical Child, which sells eco-friendly wooden toys, Waldorf toys, and books. The store also has a play town in the center of the store to entertain kids. For unique designer dresses, jeans, and other fashionable pieces, there’s Bella Moda Boutique and Mog + Rue, two boutiques full of SoCal style. That means: True Religion? Yep. Splendid? Check. Sky maxi dresses? Of course. If you’re browsing for gourmet items (or hostess gifts), check out the Savory Spice Shop, which sells hundreds of fresh herbs and spices, and Chuao Chocolatier, home of some of the most uncommon and delicious chocolates in the area. Creative folks will like Beads, Crystals and More and new agers have a place in SoulScape, a shop devoted to selling books on spirituality and personal growth, as well as meditative music, body care, yoga supplies, and gift items like art, candles, and pillows. For home decor with a focus on on garden and landscape items, don’t miss Grounded. Other shops to visit include sunglass and eyewear store, Europtics and Ace Hardware for home items. If you want something wholesome and healthy, try The Lotus Cafe and Juice Bar with its selection of veggie entrees, pastas, sandwiches, salads and smoothies. Lotus also serves chicken and fish if you’re in the mood for more protein and has a nice kids’ menu so there’s something for the whole family, even the gluten-free and vegan among you. You like pizzas, burgers, and beer? You’ll dig the Lumberyard Tavern & Grill. 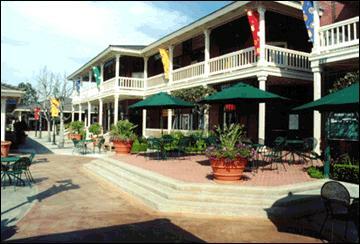 The grill’s extensive menu sports a nice variety of pub food and even features breakfast items if you’re an early riser. Owned by a Provencal couple, the St. Tropez Bakery and Bistro serves pastries, panninis, and salads and much more for breakfast, lunch and dinner, which many patrons enjoy outdoors by the central fountain. Other restaurant options include Sakura Bana Sushi, Blue Ribbon Artisan Pizzeria, and Kim’s (Vietnamese). Get your nails done at Heavenly Nails, taste wines at 3rd Corner Wine Shop & Bistro or accessorize at deepFLING. And be absolutely sure to check out The Lumberyard in the summer, because the center often hosts concerts and other family events.